What Would Dorothy Say About ISIS? But could the mighty power of United States even entertain the suggestion that it practice pacifism? Not on your life! 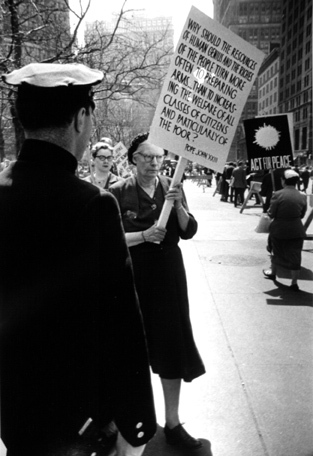 I reiterate the earlier question: What sort of sign can we discern from Dorothy Day’s witness? The following guest post by Daniel Cosacchi is part of an ongoing conversation at Daily Theology on the Syrian/ Iraqi crisis. It is a matter of some surprise to the vast majority of United States citizens that the destruction and persecution being carried out in Iraq by ISIS did not begin with the brutal beheading of James Foley sometime on or before 19 August 2014. The very sad fact is that the tragic genocide reached devastating levels in early June of this year. The response from most government officials and faith leaders in this country was deafening silence. Only recently have some leaders in this country called for our voice to stand in solidarity with the Iraqi people. One voice has been clear in asking for prayers and support since the first moments of the attacks. Since 2009, Archbishop Amel Shimoun Nona has served as the Chaldean Archbishop of Mosul, a city in Northern Iraq. His community has been completely eliminated – either killed or driven from their land. 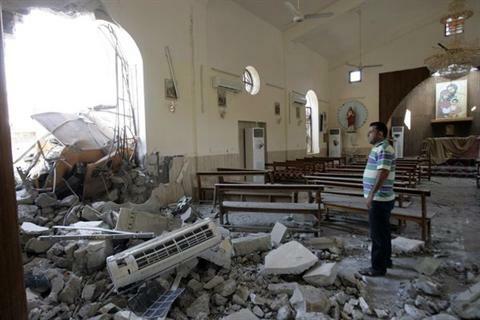 As early as 12 June, Archbishop Nona lamented, “In 2003 there were still 35,000 faithful living in Mosul. Three thousand were still there in early 2014. Now probably not one is left here, and that is tragic.” Now, three months later, the United States, with the remainder of the world, finally wonders if it is time to respond. Shame on us all! As President Barack Obama has now promised to “degrade, and ultimately destroy, ISIL through a comprehensive and sustained counter-terrorism strategy,” we are entering yet another chapter in the unending stream of violence in the Middle East. History has already shown us that this response is far from ideal. But what sort of a response is adequate now? It is fortuitous that the Roman Catholic Church is currently studying the life of Dorothy Day, co-founder of the Catholic Worker movement, for sainthood. Very likely, she will be the next person from the United States who is canonized. What sort of guide can she be during this difficult time? It may be instructive to take to heart her words when it comes to other situations of genocide. It is startling that for as much as things have changed since 1942, when Dorothy protested World War II, many things have also, sadly, remained the same. In the February 1942 edition of The Catholic Worker, Dorothy saw a sad irony in our country. “The majority of our comfortable people,” she stated, “are pacifists themselves when it comes to the class war. They even pretend it is not there.” Unfortunately, I must admit that now – many decades later – this country (myself included) is still often too willing to pretend our class war doesn’t exist. And what about the race war? Daniel Cosacchi is a doctoral candidate in Christian Ethics at Loyola University, Chicago.